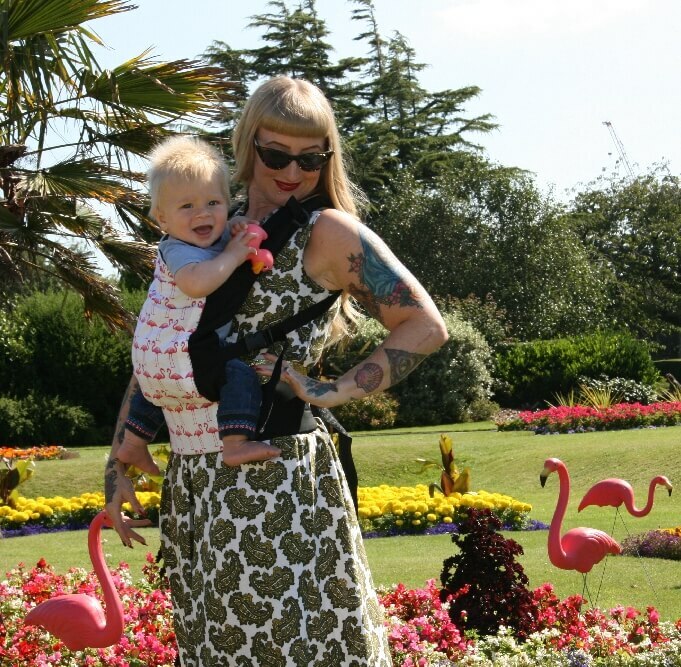 The hand crafted Rose and Rebellion Baby Carrier is not only a feast for the eyes, with its sweet and boldly looking prints, but is also very multifunctional and handy. 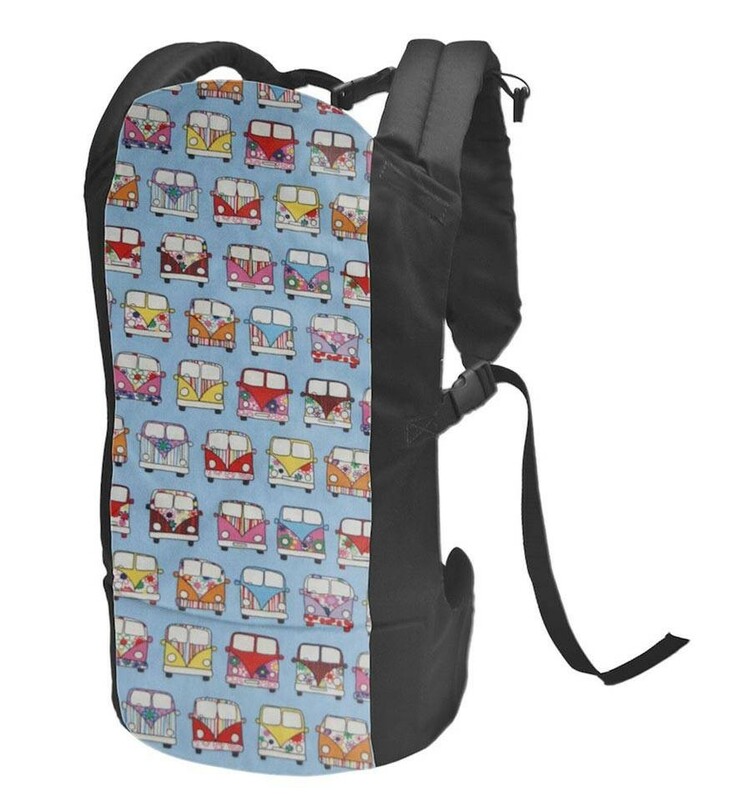 The Rose and Rebellion Baby Carrier is suitable for babies and children from 5 months. It can be worn in different ways. Moms and dads of every morphologic stature can carry their little angels in an ergonomic way. If you don’t like to show off the flashy prints for once, you can simply turn your carrier inside out for a more elementary, plain look. Carry your child on your belly or on your back and adjust the reinforced straps on waist, shoulder or chest height so that it feels comfortable. You can also wear the shoulder straps crossed so that the weight for bigger children gives you much better support on the waist – using the sturdy waist band – to prevent back aches. 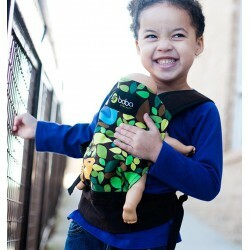 Thanks to these quality snap button closures, your baby is put in and ready in an instant for your long walk or hike. 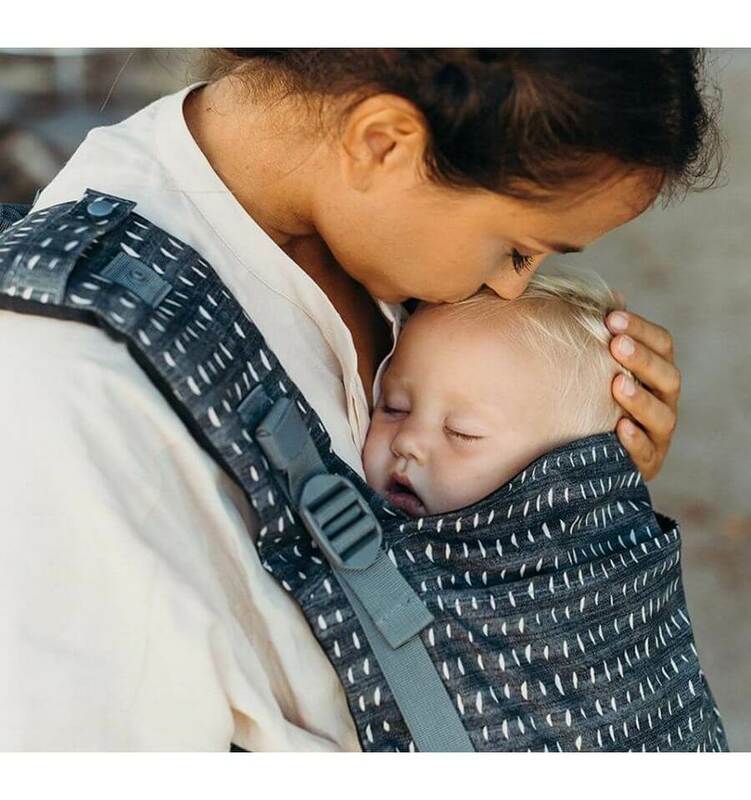 For the cute little sleepers, there is a handy sleeping hood preinstalled and integrated in the baby carrier. 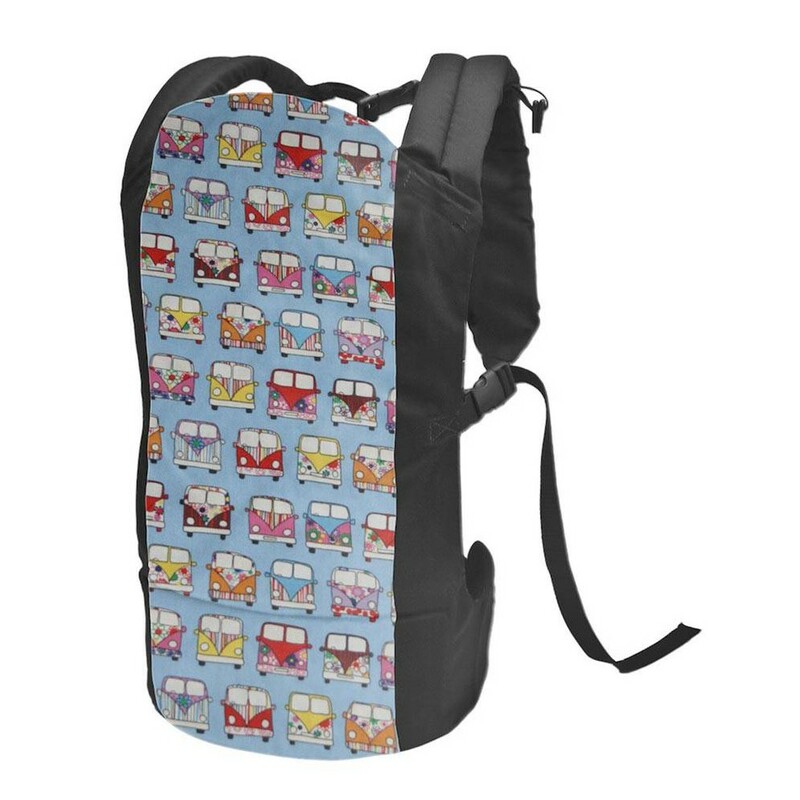 This baby carrier is made of 85% cotton and 15% polyester, weighs only 450 grams and is easy to store away in the included storage bag.